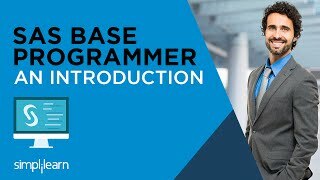 The SAS Base Programmer course in a beginner level course for a SAS professional. This training has been designed to enable you to start your analytics career with SAS and prepare for the SAS Base Programmer certification. This SAS course explores the SAS tool and different techniques to help you access and manage data, create data structures, generate reports, and handle errors. These techniques are mandatory for a professional to start working on the next SAS assignment and forms a strong base for advanced techniques and certifications. This SAS Base Programmer training presents all these concepts in an easy to understand manner, using actual coding examples and demos to clarify the concepts and present the actual method of implementation. Outline the steps to download and install the SAS Base Programmer tool. Demonstrate the methods to read, process, combine, and access datasets or raw data files. Sales: In this project, we ask you to import and consolidate the given sales datasets into a single dataset. You will then need to use different analytical SAS tools to manipulate and analyze the data, and generate desired reports.